Providing ready to use ice in and around Austin, TX. Need Emergency Ice? Call us today and we'll be right there. IceWorks | A Full Service Ice Company. Whatever your ice needs are we have you covered! 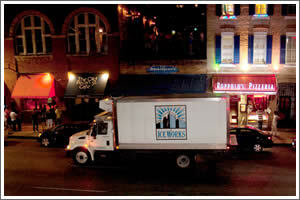 From parties to bars and restaurants we have your ICE! 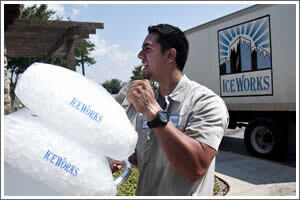 IceWorks is a full service ice company dedicated to providing superior customer service. Contact us and find out how IceWorks can help you with all of your ice needs or help your company increase profits with the ice resale program. 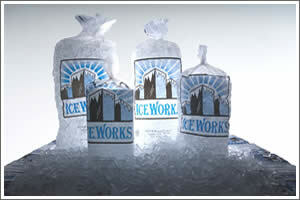 IceWorks takes great pride in manufacturing clear and odorless tube ice suitable for any ice application. Holding ourselves to the highest standards, IceWorks adheres to strict manufacturing practices set forth by the FDA, as well as state and local regulations. Whether it be a backyard cookout or the highly regulated food processing industry, we’ve got the ice.